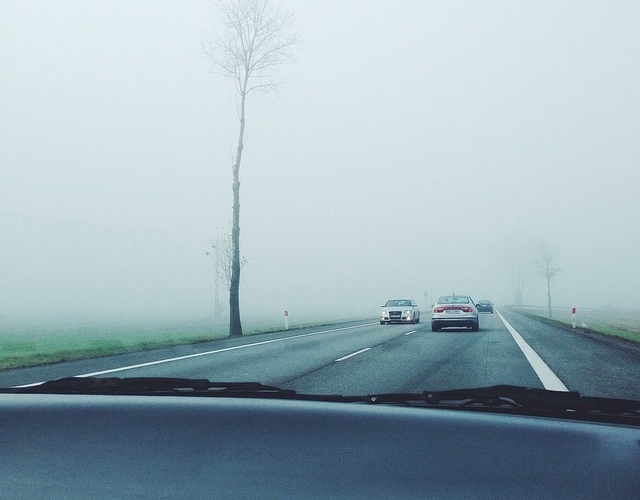 Fog is created when humidity in the interior of your car comes in contact with the colder windshield. This condensation builds on the inside of the windshield, decreasing visibility and can be hard for many who have never learned how to properly defog their windshield. Here are three simple steps to help you defog your windshield. Allowing outside air to circulate through the inside of your car can usually be enough to defog the windshield without using the heater or the air conditioner. However, on days where it is extremely cold outside, or the weather isn't great, there are other methods that can be used to defog your windshield. 2) Turn The Heat On Max! If opening your windows didn't work, or you didn't want to risk getting cold and wet, turn the heat in your car on maximum and set it to 'defrost/defog'. The hot air coming from the vent will heat the windshield enough to vaporize any of the water that may have collected on it. Keep in mind that much of the impact from this method is temporary and as long as the windshield is cold and the air inside of the car is warmer, the fog will continue to return. Once you have turned the heating up, begin to lower the temperature of the air coming out of the vent slowly. Get the temperature of the air inside close to the temperature of the air outside of the car. Keeping both sides of the windshield at the same temperature will allow you to get rid of the fog. Remember - clean windows are less prone to fog, and also help with overall visibility! Looking for information on the best type of windshield to have on your vehicle in colder weather? Contact our Body Shop today at 519-338-2017!